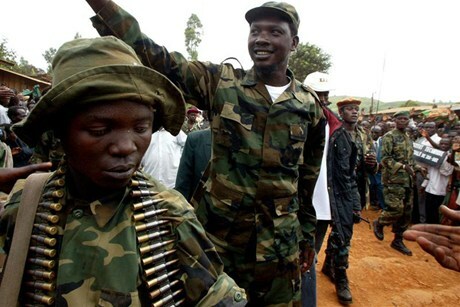 Earlier this week, the International Criminal Court released the Trial Chamber’s decision on the principles and procedures to be applied to reparations following from Thomas Lubanga Dyilo’s war crimes conviction for enlisting and conscripting child soldiers and using them to participate actively in hostilities in the Democratic Republic of the Congo. Various international laws and conventions have affirmed that victims have a right to reparations, which include compensation, restitution, and rehabilitation. But in comparison to past international tribunals, the ICC has considerably elevated the priority of reparations as means of justice for victims. The ad hoc courts for Rwanda and Yugoslavia have a miserable, if not non-existent, record in providing reparations and this was considered a failing and lost opportunity. Typically, devising, funding, and implementing reparations awards have been the responsibility of states. Yet even in cases where there have been robust transitional justice institutions, like Rwanda, East Timor Sierra Leone, and South Africa, domestic authorities lack capacity and/or political will to provide meaningful reparations. Lubanga was sentenced to 14 years – far short of the 30 years asked for by the Chief Prosecutor. His conviction is, however, only a small measure of justice for victims. 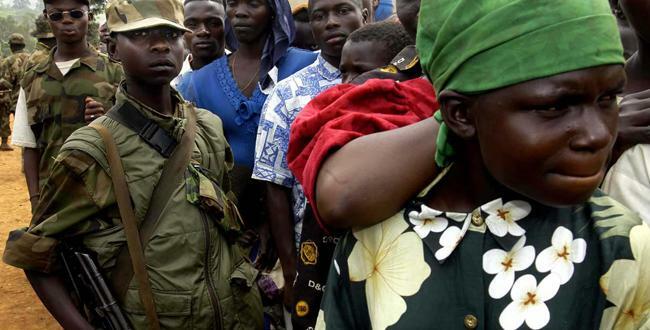 While the direct, individual victims of Lubanga’s crimes are child soldiers, reparations are also intended to be more collective in nature in order to affect the relevant the families and communities of victims in the DRC as well. To date, only 85 victims have individually applied for reparations in the Lubanga case. Various parties participated in reparations proceedings and submitted their recommendations. These parties included NGOs, such as Avocats san Frontieres, Women’s Initiatives for Gender Justice, and the International Center for Transitional Justice, UNICEF, and the ICC’s Registry and Trust Fund for Victims. The recommendations reflect several debates that are common to transitional justice policy-making, specifically the value of material versus symbolic reparations and individual versus collective reparations. Other critical issues include the identification of victims and determining the scope of beneficiaries, ensuring access to reparations, and ensuring that reparations “do no harm” by creating social divisions within communities and stigmatizing victims. What follows is a brief and selective summary of the salient points in the judges’ decisions and instructions. Beneficiaries are the direct and indirect victims of the crimes, including the victims’ family members, and legal entities; priority should be given to vulnerable victims, particularly those of sexual and gender violence and those in need or urgent assistance. Reparations will not be limited only to those who participated in the trial proceedings or those that applied for reparations. Victims, and their families and communities, should participate in the reparations process and the Court should engage in outreach and consultation. Reparations constitute restitution, compensation, and rehabilitation, but may also be symbolic, preventative, and transformative. Should be considered when i) economic harm is sufficiently quantifiable; ii) an award of this kind this would be appropriate and proportionate; and iii) the available funds mean this is feasible. Is a form of economic relief that is aimed at addressing, in a proportionate and appropriate manner, the (material, physical, and psychological) harm that has been inflicted. Shall include the provisions of medical services and healthcare (particularly in order to treat HIV and AIDS); psychological, psychiatric and social assistance to support those suffering from grief and trauma; and any relevant legal and social services. Should facilitate the reintegration needs of child soldiers. The convicted person (Thomas Lubanga Dyilo) has been declared indigent and no assets or property have been identified that can be used for the purposes of reparations and therefore can only contribute to non-monetary reparations. Any participation on his part in symbolic reparations, such as a public or private apology to the victims, is only appropriate with his agreement. The TFV has indicated that reparations to be funded by the TFV with its own resources will tend to be collective in nature or they will be made to an organisation pursuant to Regulation 56 of the Regulations of the TFV. The Chamber endorses this suggestion of the TFV that a community-based approach, using the TFV’s voluntary contributions, would be more beneficial and have greater utility than individual awards, given the limited funds available and the fact that this approach does not require costly and resource intensive verification procedures. The judges also agree with the recommendations of the participating NGOs, victims’ representative, and Court organs that reparations should “do no harm” in their implementation. Individual reparations awards can further stigmatize victims in their communities, “replicate discriminatory practices,” exacerbate social tensions, and isolate them. Keeping in mind that child soldiers may also be viewed as perpetrators of crimes in their communities, reparations should also “secure reconciliation” between the convicted person and the victims and the affected communities. For victims and their communities, reparations will be the most tangible manifestation of justice from international courts. The International Criminal Court has the mandate to make remarkable progress in this regard. The TFV can only be effective, however, with financial and political support. Most international justice advocacy and diplomacy is geared towards cooperating with the ICC on arrest warrants and ascribing to a discourse that prioritizes trial and punishment of war criminals. Equally important is the international community’s support for restorative and redistribute forms of justice that reparations can affect. The Trust Fund for Victims’ implementation of reparations and impact on communities will be an important measure of the ICC’s success in the years to come. This entry was posted in Child Soldiers, Democratic Republic of Congo, International Criminal Court (ICC) and tagged child soldiers, DRC, ICC, Lubanga, Reparations. Bookmark the permalink.